A fully adjustable lightweight and compact flash rotating bracket for the photographer on the go with a built-in Arca-Swiss style quick release camera clamp. The Rapid Fire PRO AS Flash Rotating Bracket from Custom Brackets is a fully-adjustable, roller bearing bracket providing consistent horizontal and vertical lighting. 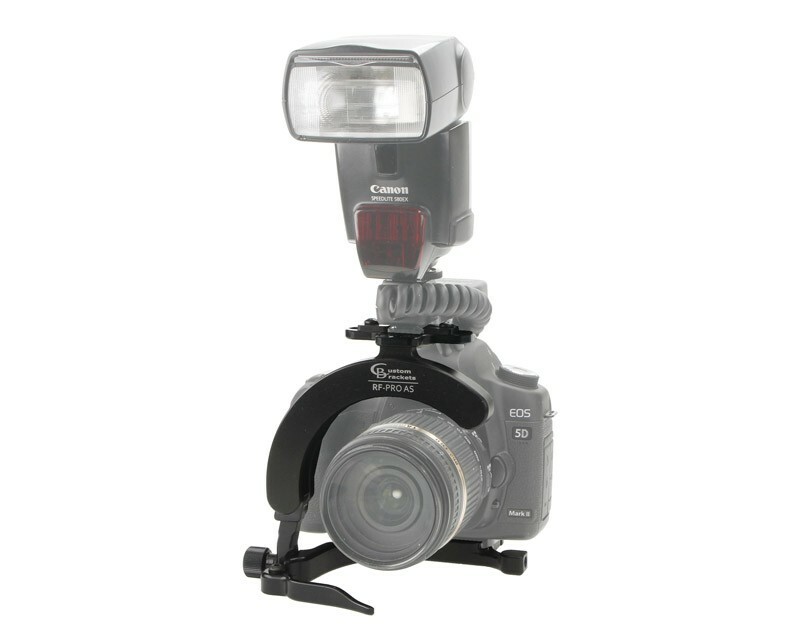 It has a standard 1/4"-20 screw for camera attachment, as well as a 1/4"-20 captive flash screw and a 1/4"-20 tripod socket. There are two camera position holes and five camera plate position holes, in addition to a captive upright lock knob.